With the ease of purchasing things online and with how much the internet can be used to solicit personal information from consumers, DHS has launched a “Stop. Think. Connect” Campaign geared towards achieving cybersecurity. 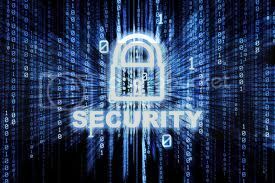 · Be careful supplying personal information - Unless you trust a site, don't give your address, passwords, or financial information. Look for indications that the site uses SSL to encrypt your information (such as the ‘s’ in ‘https’). · Limit cookies - To make sure that other sites are not collecting personal information about you without your knowledge, choose to only allow cookies for the web site you are visiting and block or limit cookies from a third-party. If you are using a public computer, you should make sure that cookies are disabled. · Do not use your primary email address in online submissions - Submitting your email address could result in spam. If you do not want your primary email account flooded with unwanted messages, consider opening an additional email account for use online. · Avoid using debit cards for online purchases - Credit cards usually offer some protection against identity theft and may limit the monetary amount you will be responsible for paying. · Devote one credit card to online purchases - Consider opening a credit card account for use only online. Keep a minimum credit line on the account to limit the amount of charges an attacker can accumulate. As always, we encourage you to think “Safety First” and put plans in place to protect you and your loved ones. For more information on how to build personal preparedness and biblical readiness, download our free ReadyChristian Training today!